NEW TRITON: Improved on-road manners, nimble off-road skills, five-star safety and value-for-money inclusions in Mitsi ute. WITH more than 40 years of exceptional service the makers of Mitsubishi Triton have reason to be proud. Its value has come as much from its ruggedness off the bitumen as its dependability on it, and a conscious effort to improve creature comforts when this outgoing model was launched in 2006 has also brought it a faithful following from adventurous families. But competitors have upped the ante, trumping almost beyond recognition those improvements the Triton had pioneered, and the Japanese manufacturer has had to think smart to keep up. This new Triton, almost 10 years in the making, is bigger, better equipped, safer and more powerful - a strong workhorse and a comfortable family chariot, capable of looking the competition in the eye. A better ride position, more supportive seats and a steering column that is adjustable for both reach and height are key interior changes in this new Triton. Plastics remain hard but serviceable, with piano black and brush metal highlights doing their bit to brighten up the cabin. 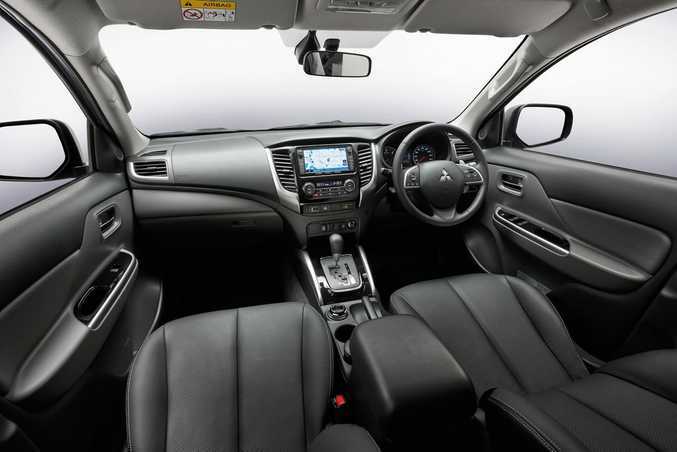 The feel is altogether more comfortable, more car-like in fact, as Mitsubishi looks to straddle that line of versatility. The styling remains conservative though as do the storage options and, certainly, larger door pockets and a dash-top box wouldn't go astray. The 7.0-inch touchscreen in our range-topping Exceed was a nice addition, with good colour and graphics, and is super easy to navigate. 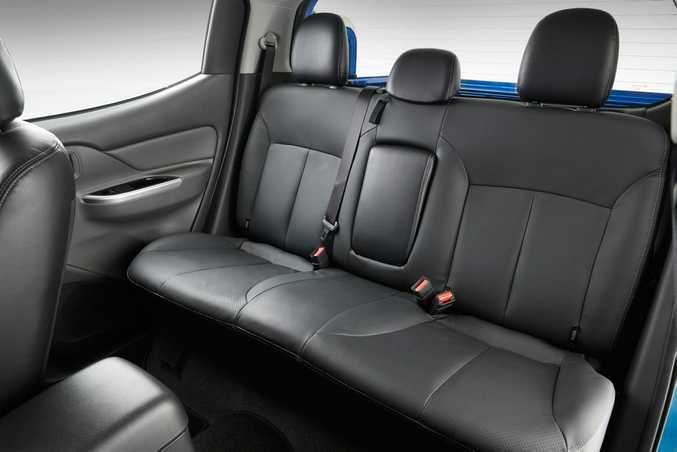 The rear seats, tilted by as much as 25 degrees to aid comfort, complement a cabin that offers a generous amount of leg and headroom. No child seat anchors in the outer seats is a big negative as is the lack of rear air-vents. The big news here is a commendable new 2.4-litre turbo-diesel engine that improves torque in the five-speed auto unit to 430Nm (up 80Nm). That torque is available from 2500rpm, helping the Triton deliver impressive on and off-road performance. Changes have been made, too, to the suspension, rear damper design and leaf springs for a ride that is more compliant and comfortable so even when you do feel the bumps they are without the previous bone-jarring accompaniment. The Triton appears more balanced on the road, especially around corners, with a steering that offers better feedback and a back end that no longer lumbers around like a drunk on a Saturday night. It responds immediately when pushed, getting up to overtaking speed without breaking a sweat and is so much quieter and refined than the model it replaces. Off the bitumen the Triton continues to impress making light work of a 4WD track cut up by recent rain. A revised Super Select transfer system, via a dial on the dash, allows you to swap between two-wheel and four-wheel drive and despite initial reservations, the 40:60 drive split (from 50:50) does little to hamper traction even on loose sand. Our Exceed certainly boasted all the comforts of a top-range SUV. These included leather seats, smart key entry with one-touch start, dual-zone climate control, hands-free Bluetooth with voice command, auto headlights and wipers, powered driver's seat and 7-inch touchscreen with digital radio, 3D navigation and reverse camera. 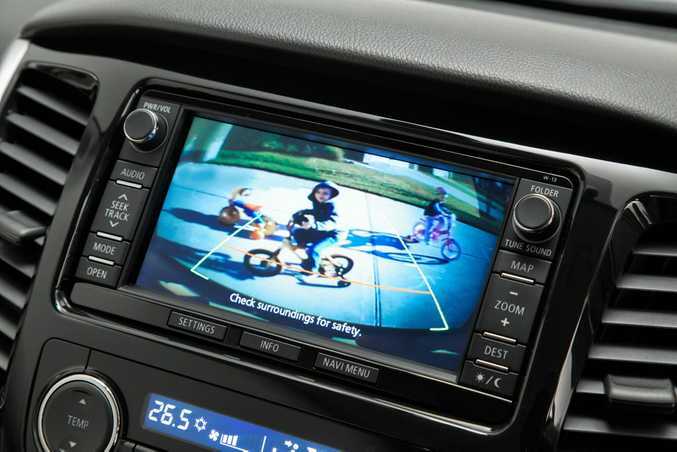 Safety is now five-star thanks to seven airbags, ABS with brake assist, stability and traction control and hill-start assist. 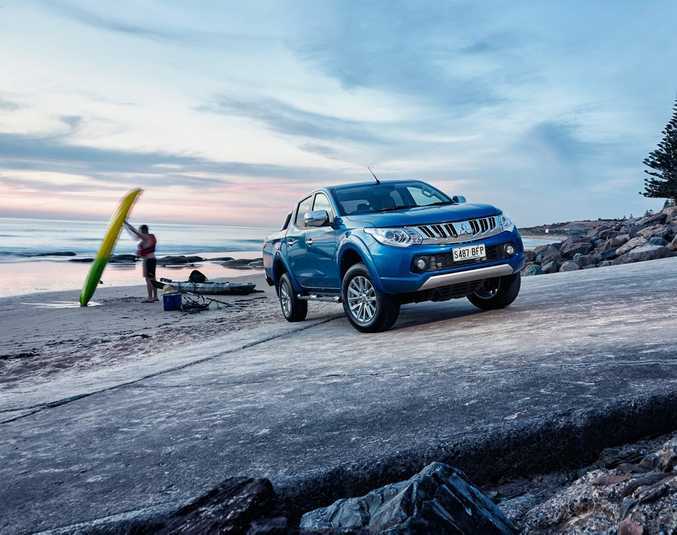 Our week in the Triton saw fuel figures around 9l/100km. Above the claimed 7.6l/100km but excellent considering our mix of distances and surfaces. 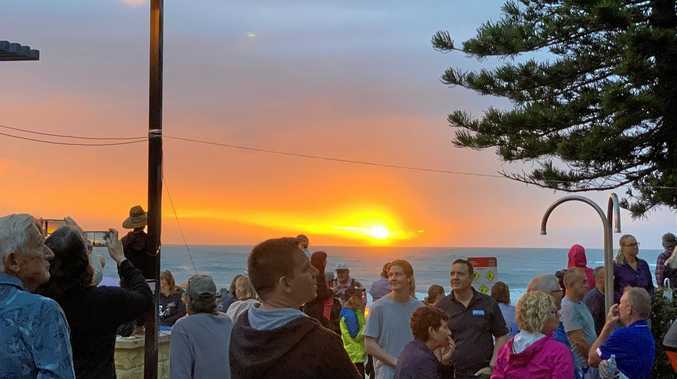 There's an array of new and soon-to-be updated competitors, including the Toyota HiLux (from $52,910 - new model price tba), Volkswagen Amarok (from $61,490), Mazda BT-50 (from $50,890 - new model price tba), Holden Colorado (from $50,490) and Nissan Navara (from $54,490). The Triton's strength lies in its versatility. Towing capacity is always a factor in utes that are used for both work and play and although the Triton's has been improved to 3100kg (braked), it still lags behind most rivals (3500kg). 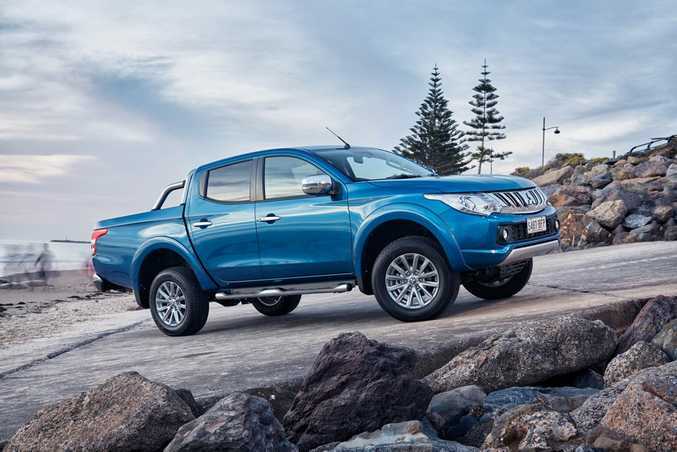 Mitsubishi counters this, saying that with a gross vehicle mass of 5885kg (the maximum weight it can carry including its own weight) and a tow-ball down weight of 300kg, the Triton can carry almost a tonne in its tray, some 300kg more than rivals. The tray itself is handy although a 12V socket in the back wouldn't hurt. Mitsubishi has toughened up the exterior look of the Triton by straightening the J-curve of the tub making the sides higher and less defined. There is new grille too and sleeker more aerodynamic sides. Light commercial vehicles like these dual-cab utes have risen in popularity over the past five years, given their versatility to double as a family wagon on weekends. This Triton with its improved on-road manners, nimble off-road skills, five-star safety and value-for-money inclusions makes for an interesting proposition. It certainly has the credentials but whether it can hold its nerve against new and improved rivals will be the real test. What we liked: Improved roomier cabin, better drive, five-star safety. What we'd like to see: Sharper exterior, trendier interior styling, reverse sensors. Warranty and servicing: 5 year/100,000km warranty and fixed-price servicing for four years. 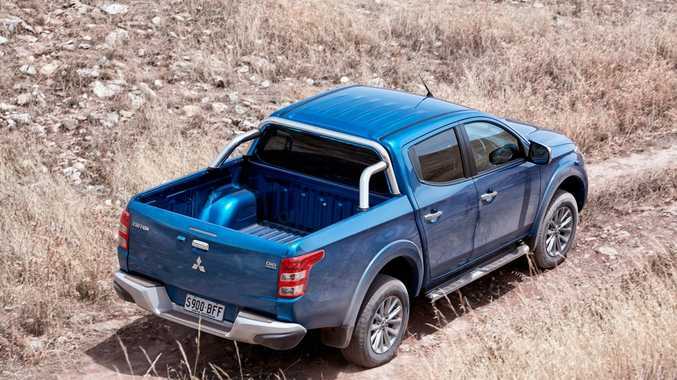 Model: Mitsubishi Triton 4x4 dual-cab Exceed. Details: Four-door four-wheel drive dual-cab ute. Engines: 2.4-litre turbo-diesel generating maximum power of 133kW @ 3500rpm and peak torque of 430Nm @ 2500rpm. Bottom line: From $47,490 (GLX from $36,990).